Spice and Sass: Santa Paws is Coming to Town! 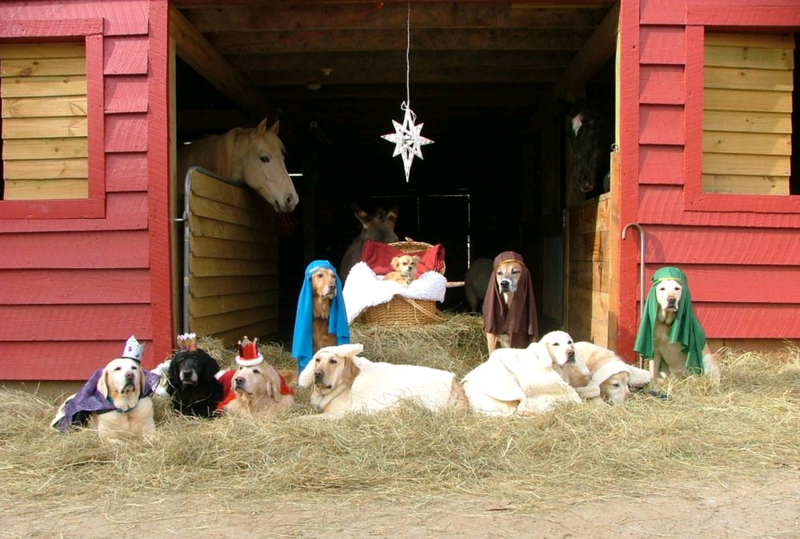 That nativity scene is too cute! Merry Christmas to you and yours and safe travels! so glad i'm not the only married lady who kind of insists on having christmas at her parents' house... i honestly cannot imagine not being here on christmas day! :) enjoy every minute! That is so funny! merry Christmas! Oh my goodness - too funny!